If we can all just seriously think for a moment about the actual comparison of an 18-wheeler (around 80,000 lbs) to a passenger vehicle (around 5,000 lbs), and how one of those massive trucks could literally squash our cars like a grape, we wouldn’t hesitate to know the rules of driving safely with them. Unfortunately, so many of us are so busy rushing to where we need to go that we try our best to quickly move around these behemoths, not realizing what kind of jeopardy we could be putting ourselves and others in. Driving safely around 18-wheelers is a must. Here are a few tips ensuring your safety around these massive trucks. 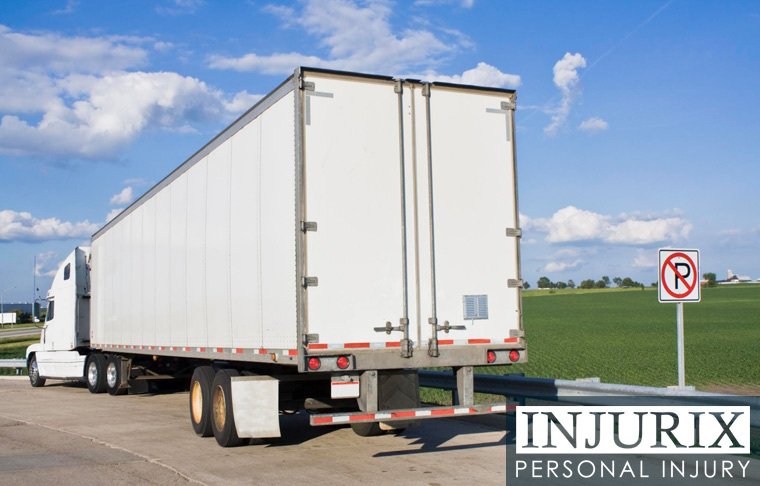 A good rule of thumb: if you cannot see the truck driver or the truck driver’s mirrors, he or she can’t see you. You should always use your signal lights, no matter who you’re driving around. But it’s imperative for a truck driver to see your intentions as you maneuver around them. There should be no surprises for the truck driver. Remember that the reaction time for stopping and/or braking for a truck is a lot more than for a passenger vehicle, and the consequences are way more serious. Once again, you need to really take in the difference in size and capabilities of a semi and a passenger vehicle, and realize that it’s best to give the truck room and space around it. Think about when a truck makes a right hand turn. Are you aware that to make a clean right hand turn, sometimes a truck needs to go over to the left hand lane to allow itself the room to do it? This means we also need to be aware of the trucks intentions and give it the space it needs. The right turn is just one example. To be on the safe side, give yourself, and the truck, some cushion between you two. Safety is of the utmost importance on the road so as to avoid dangerous accidents.